Design Thinking – what is this? This is just a creative presence of brain cells that draws pictures apart.Design Thinking – what is this? This is just a creative presence of brain cells that draws pictures apart. 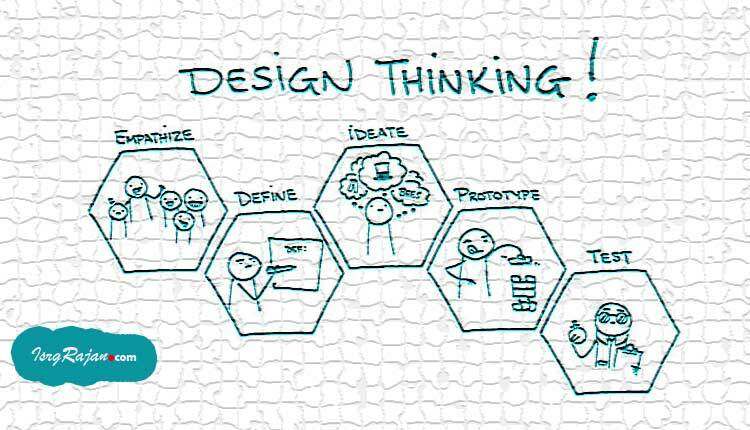 Design Thinking is a repetitive designing of presentation which hovers around the display mediums across the globe. In specific terms, it means re-layout and deeply thinking about various aspects of how to freshly design the presentation which is in the air so as to draw in more customers to a specific business. How to listen to your customers needs. How to make my presentation more attractive. How to draw good pictures for new advertisements. How to draw in new ideas into re-designing your project. How to make your campaign more target/consumer friendly. Design Thinking is a form of concept based design, formations in which new design, formations are given three dimensions. This is a team based work that involves thorough study of the client’s requirements. Then heavy brainstorming sessions are undertaken in which the greatest number of head counts could come into reality. These head counts could draw various formations on papers destroying many pieces of papers may be a waste. This paper wastage has been just to create a new design that is required for any particular project. But, with the passage of time and with the advancement of technologies in computer science, new strategies have cropped up in Design Thinking. Computer science has revolutionized these concepts. New schemes are generated to give final shapes to the required results. The results obtained are analyzed taking into consideration various parameters such as how much exposure our design theme has drawn on. With the amount of exposure a corporate or any x, y, z for which Design Thinking is being done will be able to judge it as to where it stands in the market. Design Thinking is used in all parts of the globs. It is used as a medium of advertising to attract more customers to a business. With it comes a flourish to your brand. It also goes every night when infants lie in the lap of their grandmothers to sleep. Grandmother starts to tell a story developing contents of the story in mind and verbally communicating while slowly tapping the forehead of the infant. As night falls to its depth, so is the length of the story. Whole design and development of the story continues in the brain. And infant goes to sleep for the night. And grand mom slowly rolls over the child on the bed. Then she slowly prepares to outline for the next night. It is a slightly challenging job. Challenges arise when new design concepts are prepared in mind. And mind preparations are drawn on paper. There may be slight cut ins and cut outs. Final prints come after some consumption of human hours. At the end of the call, we can say that Design Thinking is an out of rolls creative designer works in which design patterns are crafted and then rolled down the viewership for final assessment. Assessment marks are scrutinized at the assessment table when all teams sum up their designs as to where these stand in the way of their products. In the times of today, various schools have come up which have various types of Design Thinking short term and long term courses. Students who have creative interests can look for these types of courses to show their creative brains into reality.